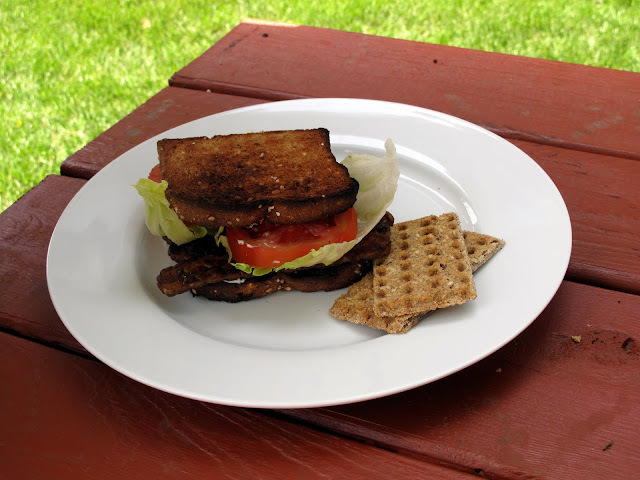 I had a grillout/picnic recently at my house and two of the guests were Celiacs. Knowing this, I had to find a gluten free veggie burger. 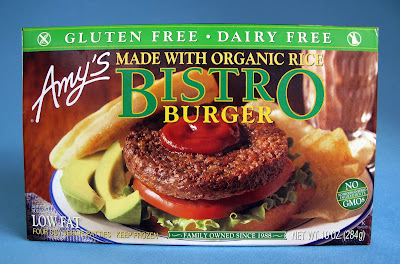 I've heard of Amy's Bistro Burgers before, but I wasn't sure if I could find them here in town. Luckily my Whole Foods had them in stock so I got some along with a box of my favorite veggie burger in the world, Amy's California Burger. So everyone wins but I was dying to know, how good is this gluten free burger? The Bistro burgers were on the grill first so there wouldn't be any cross contamination. Once they were done, I put them to the side and fired up the Cali burgers. Now it's time for a little taste assessment. 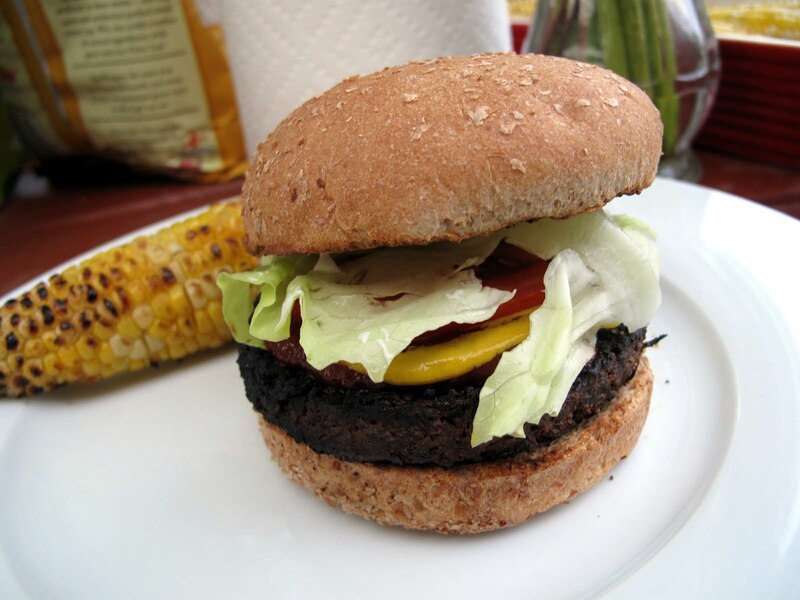 I dressed up the Bistro burger first in lettuce, mustard, Veganaise and ketchup. With the first bite I was in love. I couldn't believe how delicious it was! Yeah, cooking on the grill enhances the flavor quite a bit, but wow was it ever good. I did notice more of a crisp texture compared to the Cali burger but I felt that was a positive thing. I've noticed things sometimes have a "Gluten-Free taste" but the Bistro totally didn't. The Bistro's ingredients include brown rice, pinto beans and mushrooms, which turned out to be a brilliant combination. I'm super loyal to my California burger but I wouldn't mind a Bistro burger every once in a while. New from ProBar is the Halo line of snack bars! All four flavors are only 150 calories AND taste great. 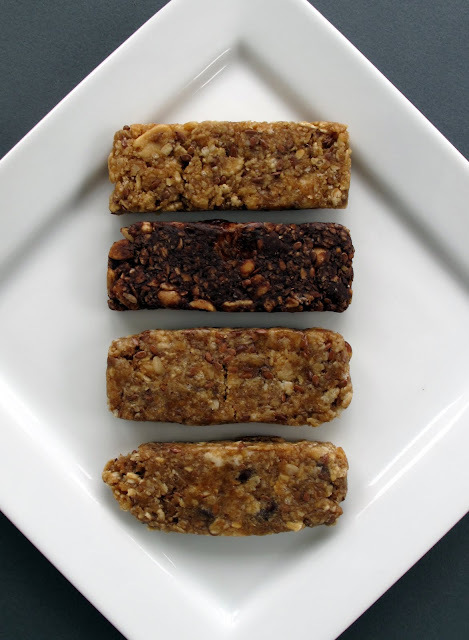 I would say these are closer to a healthy snack bar than a candy bar, but that's not a bad thing. 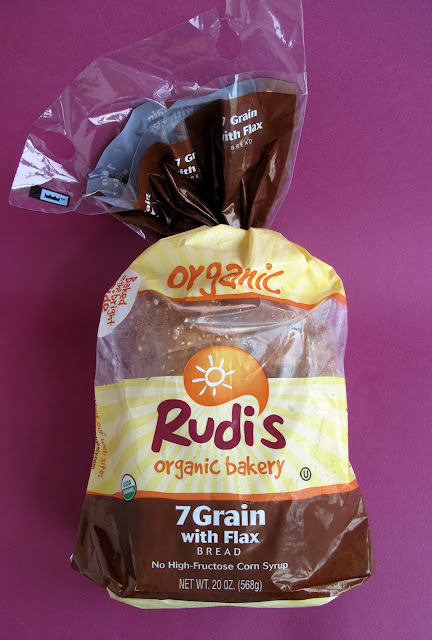 The quality ingredients and complex flavors really shine through. Out of the four, Nutty Marshmallow was my absolute favorite. I found it to be be very marshmallowy but more substantial then a rice crispy treat. The sweet nutty flavor really hit the spot. Next on deck was Rocky Road. Never been a fan of Rocky Road but the bar was enjoyable in all its chocolaty nutty goodness. Now for something completely opposite is Honey Graham and I know what you're thinking, yes it's Vegan. The taste was surprisingly on the lemony side with a hint of honey. And last but not least was the S'Mores bar. Don't get me wrong, I enjoyed it but it suspiciously tasted like the Nutty Marshmallow bar, even with the additional chocolate. 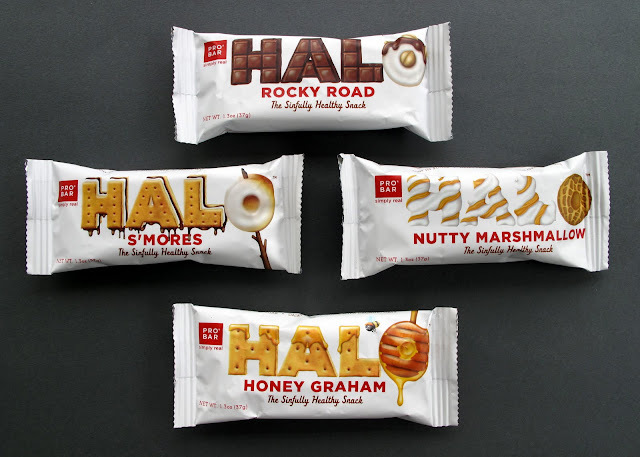 In closing, I think the Halo bar is a high quality snack bar that gives you candy taste without all the calories. 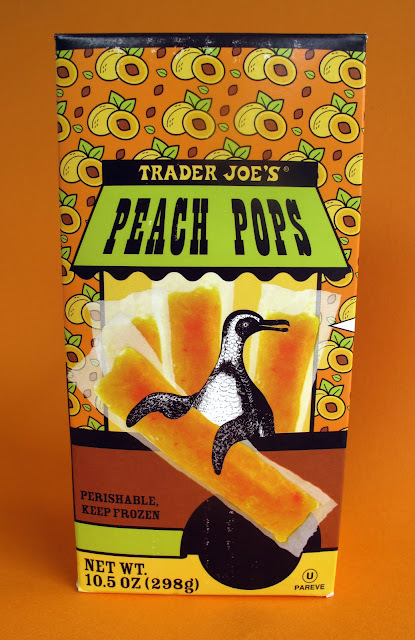 Yesterday I went to Trader Joe's to pick up some essentials, not expecting anything new. Well look what was staring at me out of the freezer case! Holy crap these are good! 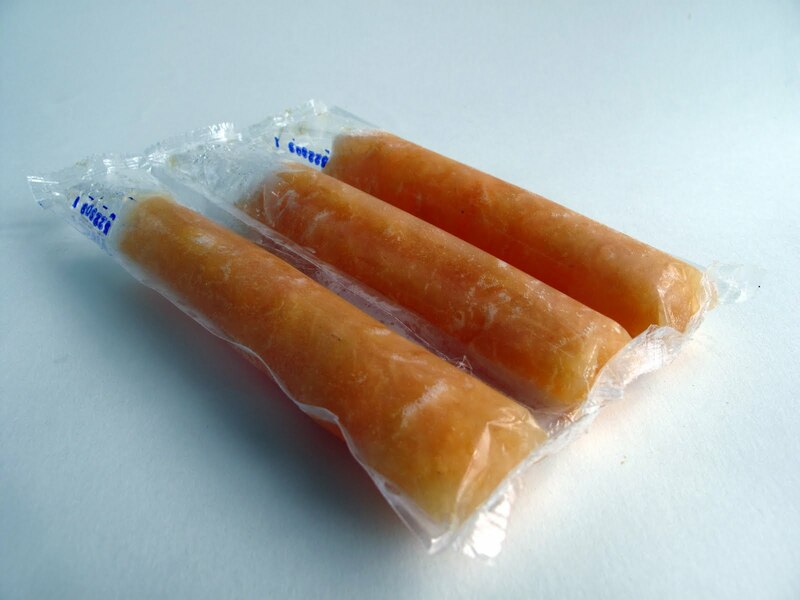 At first you are probably like "these look like normal Fla-Vor-Ice pops, what's the big deal?" Well the big deal is that the first ingredient in the pops is peaches. With the first and last bite, you'll be eating real peaches. Delicious! Did I mention I'm so happy to have a Trader Joe's near me? Summer just got real, go get 'em. If you went to Omaha Public Schools in the 1980's or 1990's you most likely remember Macho Nachos. Every week the lunch schedule was printed in the newspaper and I would count down the days till Macho Nacho day. It was my favorite lunch meal next to the cheese pizza with French fries. While I can't remember exactly what was on the nachos, I feel like I've been able to reproduce the spirit. So here is my version of the Macho Nacho! As you can see it's pretty loaded. Sometimes I add more ingredients and sometimes I add less. Things I left out this time are black olives, green onions and salsa. And you may be thinking, "John, where is the the Frank's Red Hot?" Well, I did put it on but it was after I took the photo. Now let's check out the other ingredients. I decided to go with Nacho Teese and I'm glad I did. 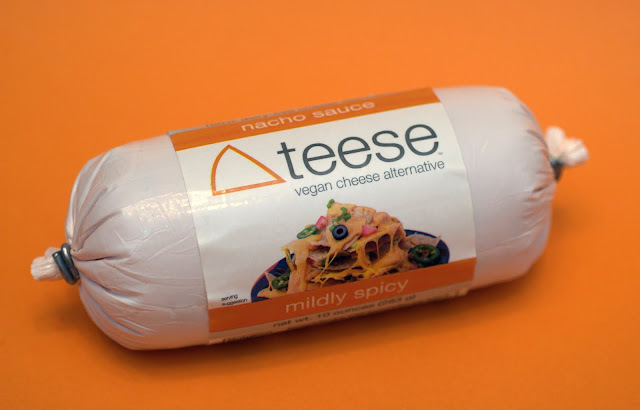 Out of all of the Vegan cheeses I believe this is the most like old school nacho cheese because it's oozy and melty. 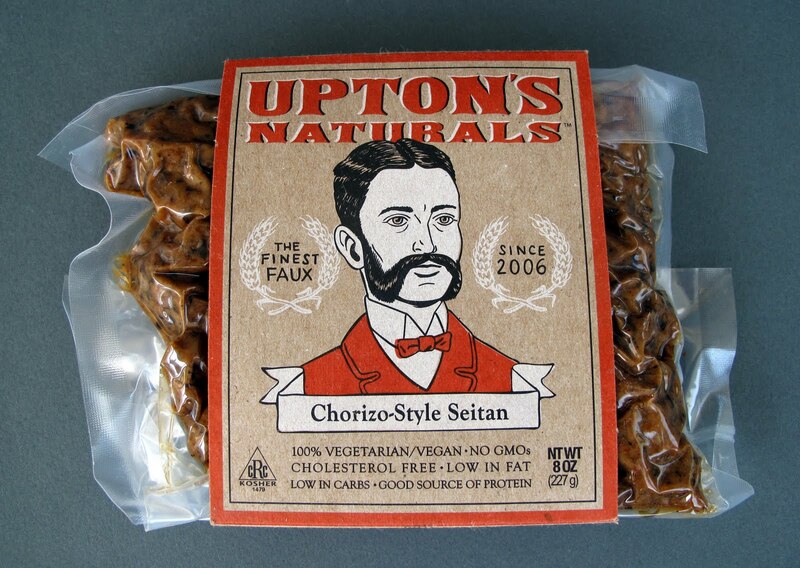 Uptons Chorizo-Style Seitan is the jam! 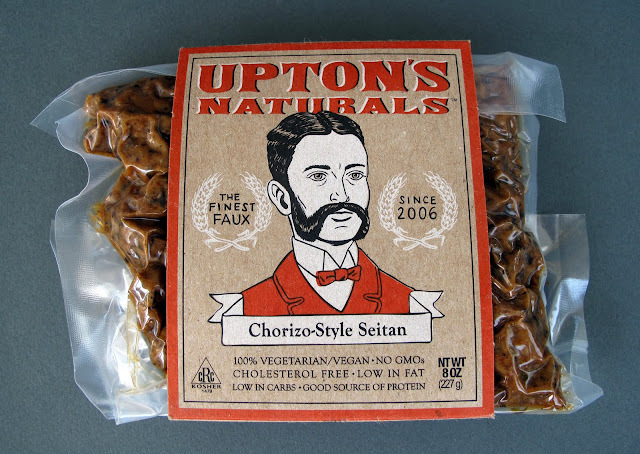 If you've had the Uptons Seitan Tamales then you know exactly what I'm talking about. It's spicy and easy to make, total Laziest Vegans material. If you have this stuff in your area, try it, you'll love it. 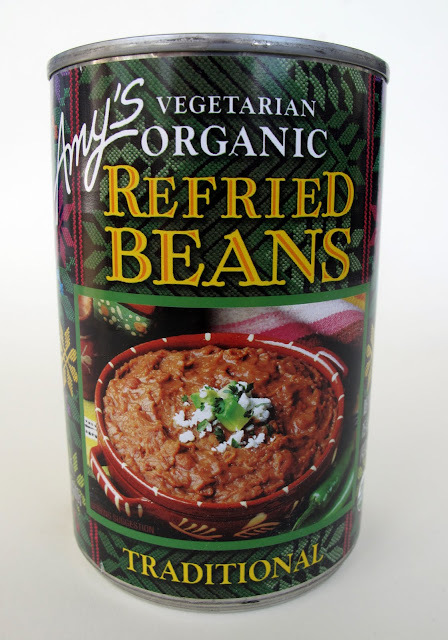 And in the same breath, Amy's Traditional Refried Beans are the best refried beans I've ever had (in a can anyway). These aren't your old bland refried beans. I love 'em! 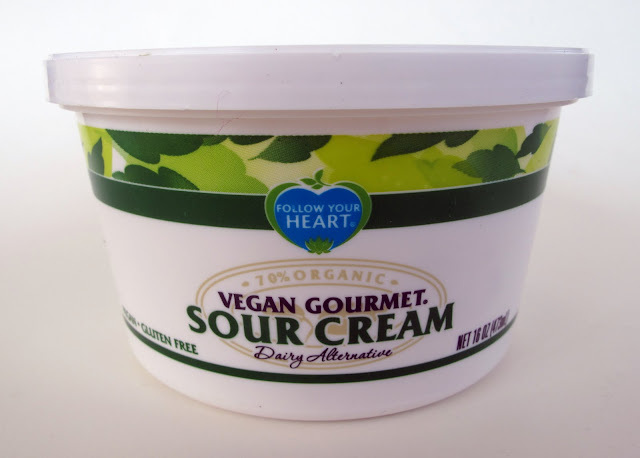 Follow Your Heart Vegan Gourmet Sour Cream is the only Vegan sour cream I've enjoyed. The only downside is that is goes bad fairly quickly. In the future I hope Follow Your Heart can sell it in smaller portions. Garden of Eatin' Blue Corn Tortilla Chips are my gold standard. So that's my version of the Macho Nacho! 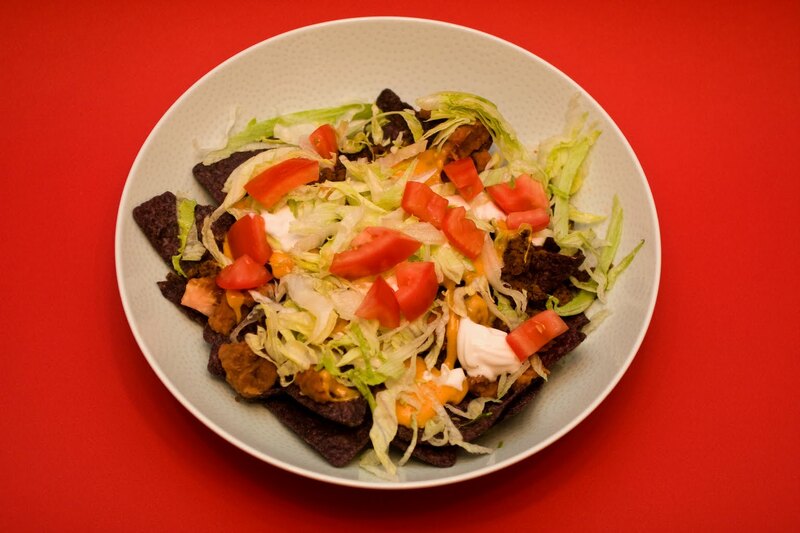 How do you fix your nachos? Bianca Phillips is the creator of the amazing blog Vegan Crunk, where her love of the Dirty South shines through. 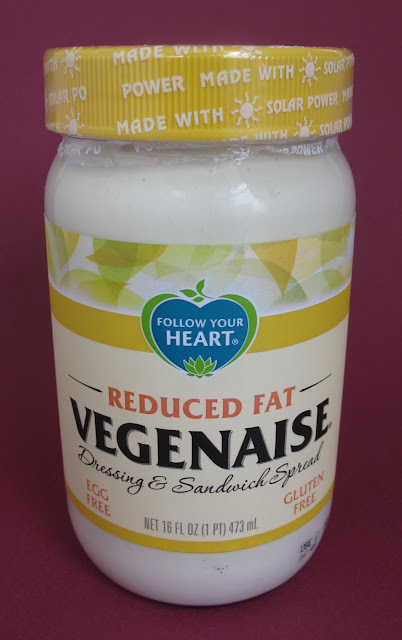 On any given day you might see a recipe for Vegan Deviled Eggs, the latest review of a Memphis restaurant or the spotlight on new Vegan convenience foods. When Bianca isn't blogging, she's writing for the Memphis Flyer, specializing in LGBT, progressive and environmental issues. I've never met Bianca personally, but that will change in August when she joins me at Vida Vegan Con in Portland, Oregon. 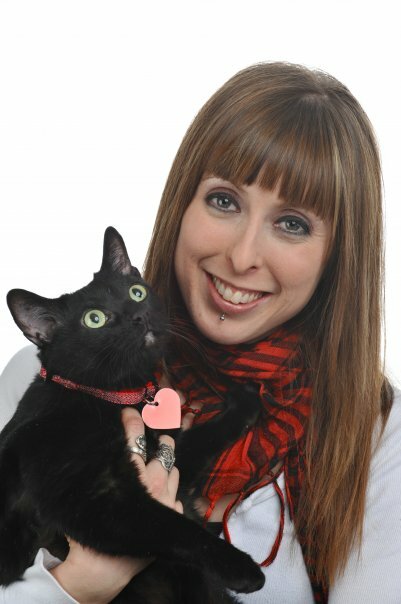 And last but not least, Bianca has an adorable cat named Gelfling. So now it's time to get Crunk, go Bianca! Hard decision, but definitely one of the Amy's frozen patty flavors. I love the Texas Barbecue, but the Quarter Pounders are mighty satisfying. I'm also a fan of the taste of the Soyboy Okara Courage Burgers, but the patties are little too small for my monster appetite. Hands down, the Amy's Vegan Macaroni & Cheese! I love homemade vegan mac & cheese, but no homemade version can top the frozen Amy's mac. It's made with ungodly amounts of Daiya cheddar, so it's uber-creamy. If I made mac with Daiya at home, I think I'd be nervous about using as much as the Amy's folks do because it's a total calorie bomb. But when Amy's does it for me, I feel like it's out of my hands and I'm free to pig out. I'm a big fan of Turtle Mountain's Purely Decadent Turtle Trails, a vanilla soy cream with a caramel ribbon and chocolate-coated pralines. Also love, love, love Tofutti Cuties in any flavor. Eco-Planet Vegan Cheddar Crackers totally rule my world!! Also, Spicy Sweet Chili Doritos are a very guilty pleasure! I can eat a whole bag in one sitting. You know, I don't think I really have a favorite cereal. I buy a different brand and flavor every time, so I won't get bored. 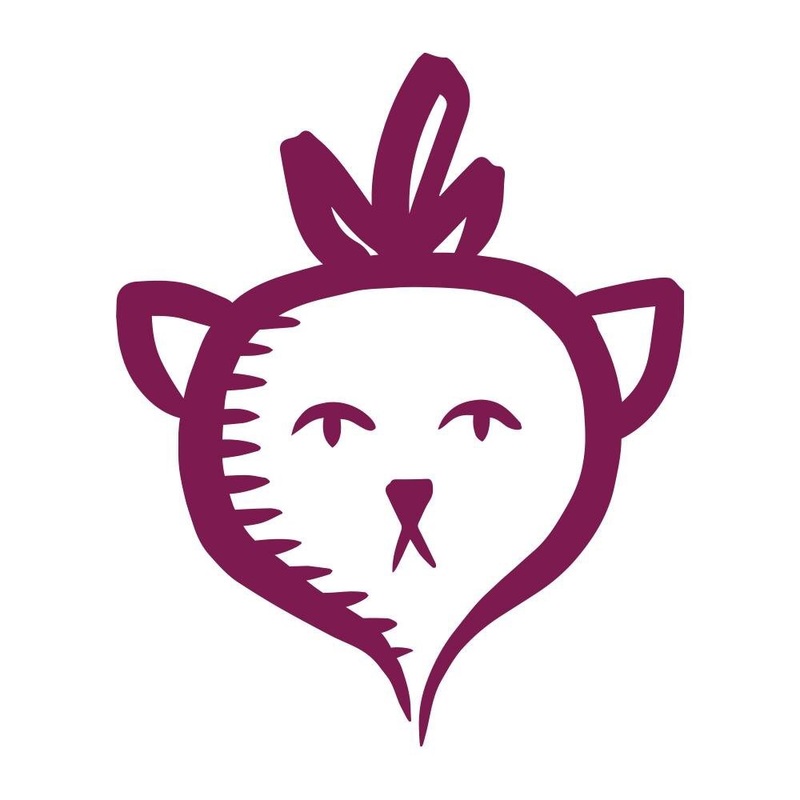 But the Whole Foods brand of cocoa puffs and anything by Barbara's Bakery are pretty awesome. For chocolate, that would have to be Sjaak's Organic Peanut Butter Bites. They're like mini vegan pb cups. OMG! And for fruity candy, I'm a diehard fan of both Sour Patch Kids and the new vegan Skittles. Liz Lovely Cowboy Cookies are an all-time fave! But I also love Uncle Eddie's Vegan Cookies! I really wish someone would invent vegan sour cream & onion potato chips! 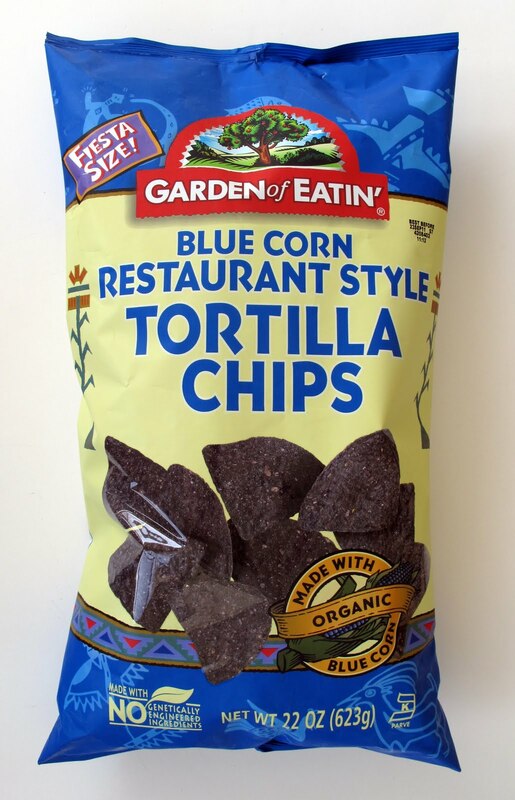 And vegan ranch tortilla chips! 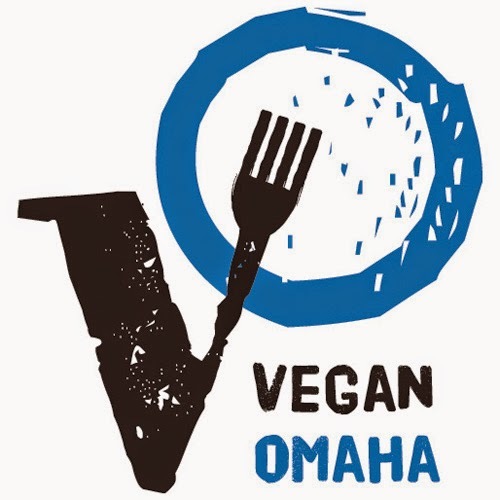 I alternate my orders from Food Fight, Vegan Essentials, and Cosmo's Vegan Shoppe. 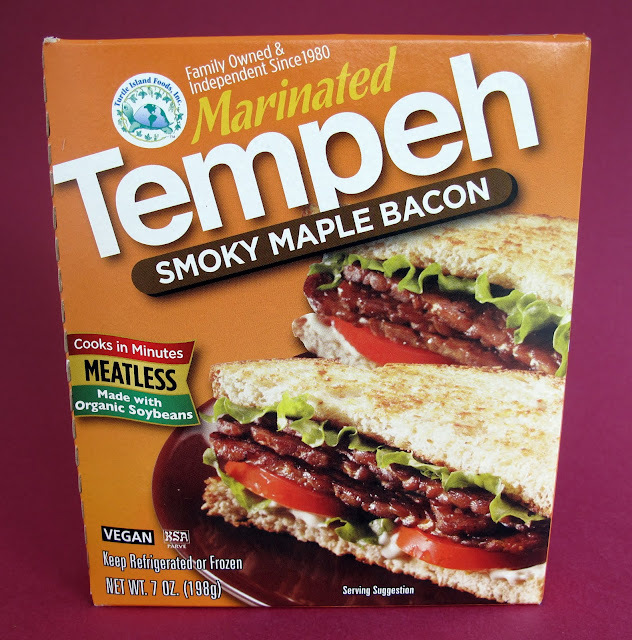 Locally, only the Memphis Whole Foods has a good vegan product selection, so I shop there. And that concludes The Laziest Vegans Top Ten. Thanks Bianca!